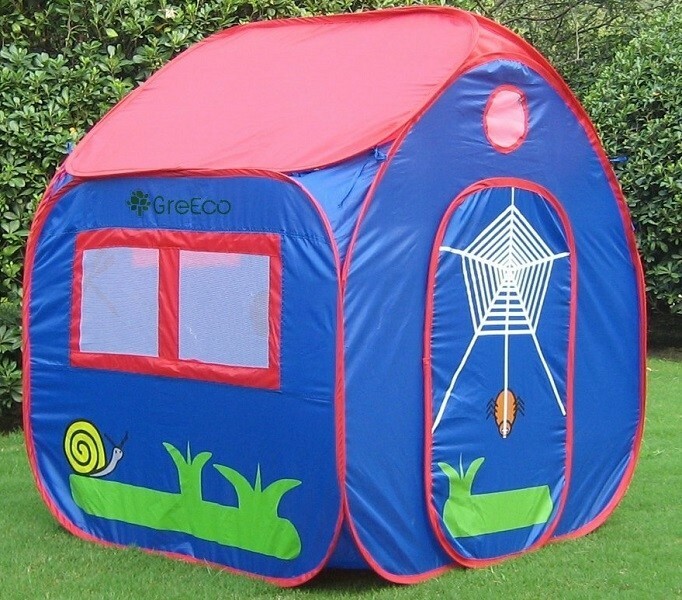 Be ready for pretend play in an instant with the GreEco Kids Pop Up Play House! 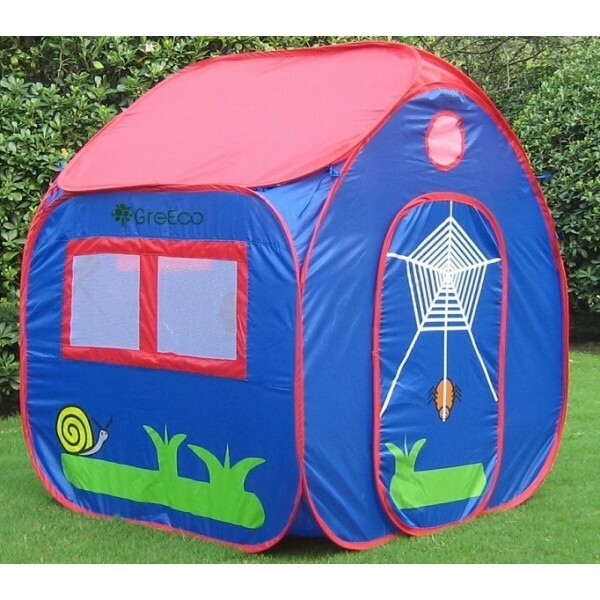 This play house is excellent for indoor or outdoor play and includes an opening door and mesh windows. At 4 by 3.5 by 3.5 feet, it's just the right size for preschoolers to have a playhouse wherever they go. The spring frame ensures that setup is quick and easy, while the round carrying case provides a handy place to store the tent when you're not using it -- and an easy way to bring it on the go. Plus, parents will appreciate that it's lead and phthalate free. For more fun places for kids to play, check out our Play House / Play Spaces Collection.